The Happy Box is A FREE sampling package with useful and relevant products and information for all pregnant women in the Netherlands. Participation: 12 months. A test period of three months is also possible. Rates and delivery specifications available on demand. Aanleverspecificaties zijn op aanvraag beschikbaar. Delivery specifications available on demand. 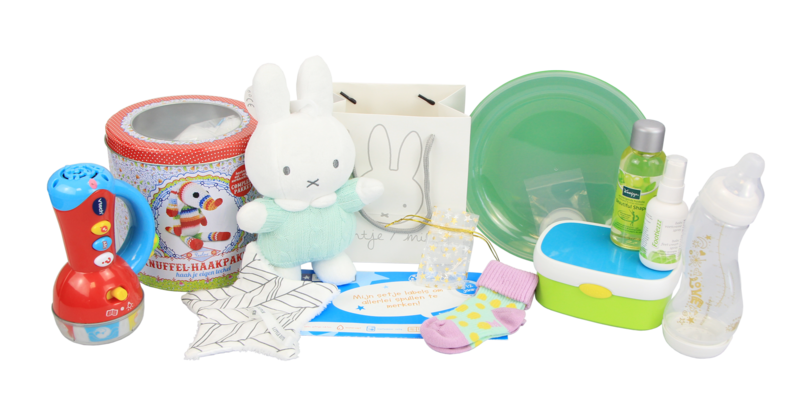 The WIJ Gift box is a box full of useful and nice products for mother and child. The WIJ Gift box can be ordered twice a year. The communication about the WIJ Gift box proceeds through the media of WIJ. Therefore, the range among pregnant women and mothers with a child from 0 to 1 is large.